We offer the most advanced surgical techniques and technology. All patients are carefully screened for their safety through complete blood testing and thorough pre-anesthetic examinations. Anesthetics are specifically tailored to your pets needs. Surgical services and facilities include: circulating hot water blanket to provide heat, EKG, apnea monitor, blood pressure, and oxygen monitoring. We offer these services to make your pets surgery a positive and safe experience. 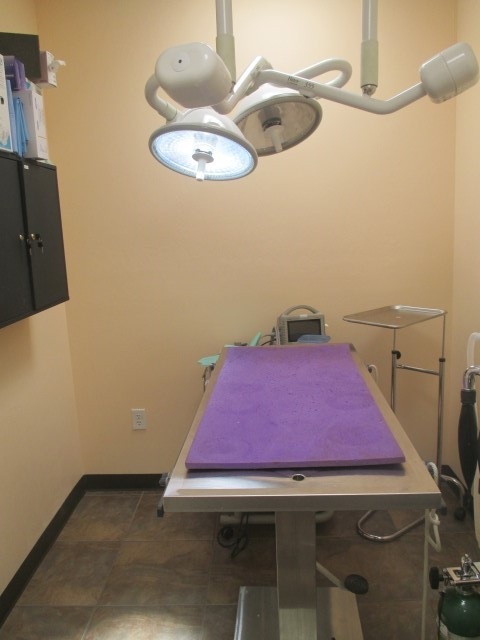 We have a separate surgical and dental suite. We perform all routine surgeries. More information in regards to our oral health can be found if you click here.